Have You Checked Out the Top Sims Contest Lately? 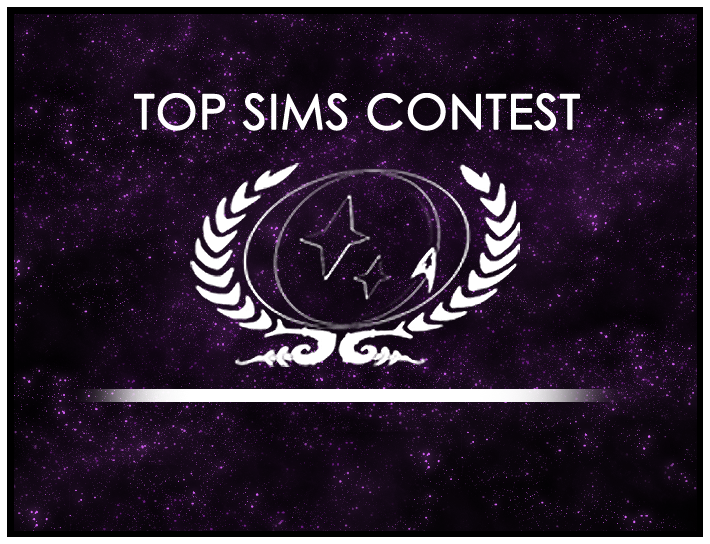 The Top Sims Contest is one of the oldest running competitions on SB118, stretching all the way back to 2003! It honors all the excellent writing our players do by highlighting great sims, and culminates in crowning one top sim for each year. The 2015 winning sim was a joint post written by Lieutenant Alora DeVeau and Lt Commander Saveron of the USS Invicta entitled “Where Vulcan Flowers Grow.” You can read the winning sim and all other nominated sims in the Top Sims Hall of Fame hosted on our forums! But how does the Top Sims contest work? Well, currently we’re starting round two of 2016. Each year is divided into four rounds, and each round is two weeks long. Players from across the game submit sims for consideration and those sims are ranked by a panel of judges. The winning sim for each round is put into a poll where the whole fleet votes on the round winners – and at the end of the year the four round winners are put to a vote and the winner is crowned champion. Players can submit any great sim they come across. It can be one of your own sims, one of your crewmates or a sim from a different ship. Sims don’t have to be just joint posts or character pieces, either! If there are open tags at the end of a fantastic mission sim, you can fill in the responses from the other players and still post the sim – or simply cut off the ending. Every player is encouraged to submit sims! It’s not only a great way to support the contest, but a wonderful way to show your support and appreciation for your fellow crew or your pride in your own work. Sims are judged by a panel made up of one judge from each ship. Judges can be any full time player who has good simming skills and an interest in reading and judging sims. The judge position is appointed by the ship’s CO, and each judge is limited to three terms of judging before the position rotates to someone new. If you love to read sims, tell your CO about your interest in judging – it’s a great way to get involved in the fleet! Beyond nominating sims and judging, the Top Sims forum is always open for players to read through. You can get inspiration from great sims, learn more about some of your crewmates or just have some fun reading good stories from the SB118 canon. Stop on by the forums and check it out – it might inspire you to write your own top sim! Top Sims: Round 19 Winner!